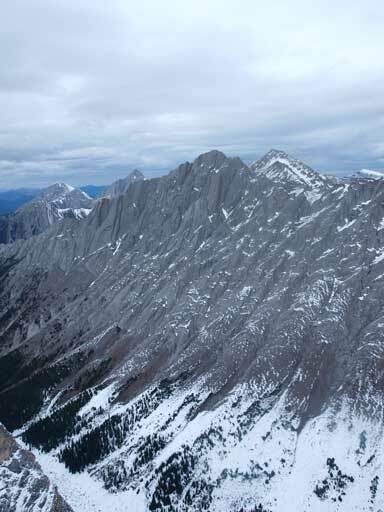 This peak is also locally known as “Old Man Mountain”. I choose the name of Roche Bonhomme since it appears more frequently on the Internet. A good trail brings hikers/scramblers from the Maligne Canyon Hostel all the way to treeline and the scrambling is nothing harder than a “moderate scramble”, but as it’s not included in Alan Kane’s Scrambles in the Canadian Rockies this peak does not seem to draw significant interest in the scrambling community. 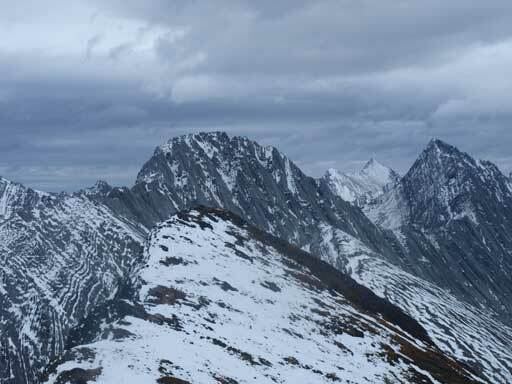 On the second day of this Thanksgiving long weekend I still felt good on energy despite the 14.5-hour march in the previous day, so I decided to increase my ambition from Opal Peak to Roche Bonhomme. The problem was? 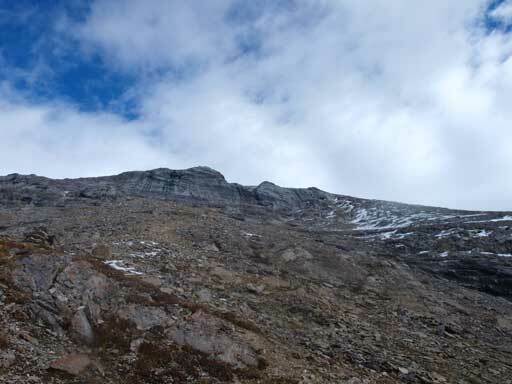 I didn’t do any homework about this ascent but I did vaguely remember the trail-head was somewhere near Maligne Canyon hostel.. Years ago Eric Coulthard did the same ascent but without following the trail so ended up in some hellish bushwhacking terrain. That didn’t sound very appealing to me so I paid extra attention to make sure I could find the trail-head. It’s about 200 m up the road from the Maligne Canyon Hostel and there’s a good cairn marking it. Mom hasn’t done a hike since June, so we had to go up slowly. Anyway, the trail was pretty easy to follow. It doesn’t have switchbacks which I like. But for mom, she had to stop regularly due to the lack of exercise. The treed slope went on forever. 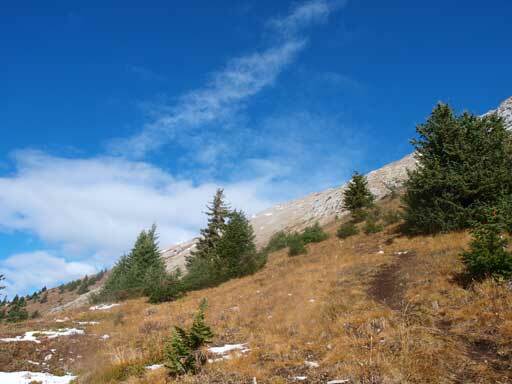 I think near 90% of the elevation gain is done in the trees, so make sure you know this before doing this peak, or you’ll get very frustrated. 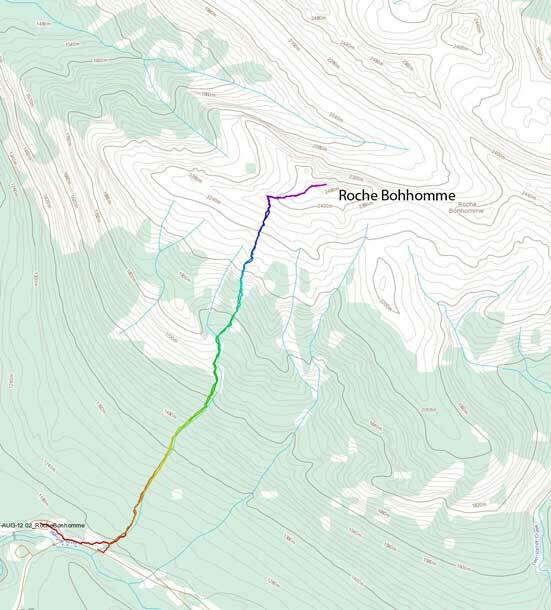 The treeline on Roche Bonhomme is higher than on the treeline on Signal Mountain, probably because it’s west facing. 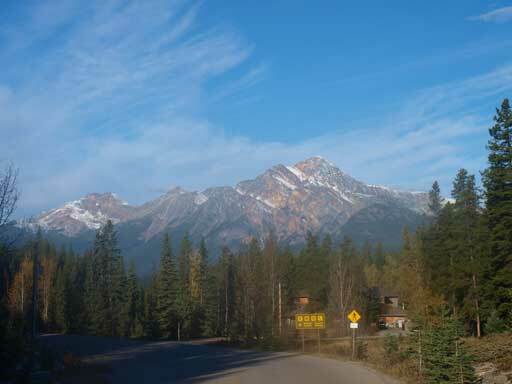 A view of Maligne Range. You can see Excelsior, Center and Tekarra, which I just did the day before. Zoomed in view towards Maligne Lake area. The lake isn’t visible though. 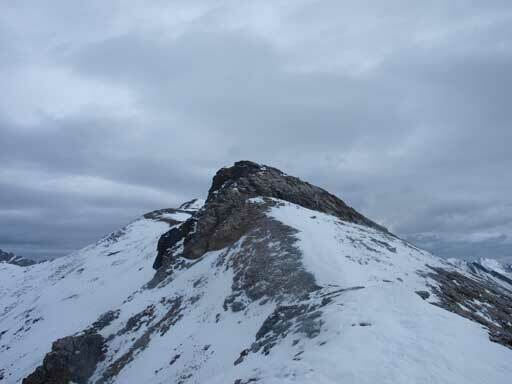 False summit ahead. True summit is hidden behind. Grisette Mountain at center, Mount Dromore on right. Looking over Mount Tekarra. Some distant peaks like Brussels Peak are visible. 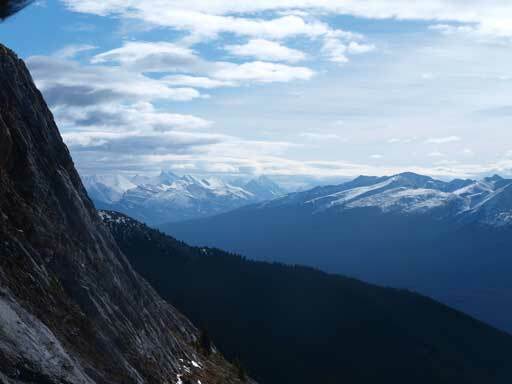 Looking down to Athabasca River Valley. I retraced my steps down. 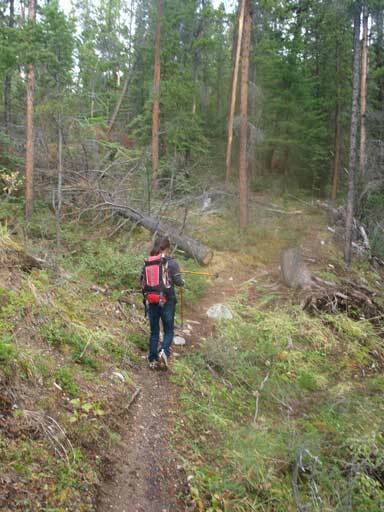 The upper slope was good to get down, but once entering the trees, the descend was pretty hard on the knees. If not because of the deadfalls, I’d prefer to bushwhack down beside the trail as the mossy ground could be much better… However, the tens of deadfalls made this idea impractical. At the end of the day, we went to the nearby Maligne Canyon for photos. 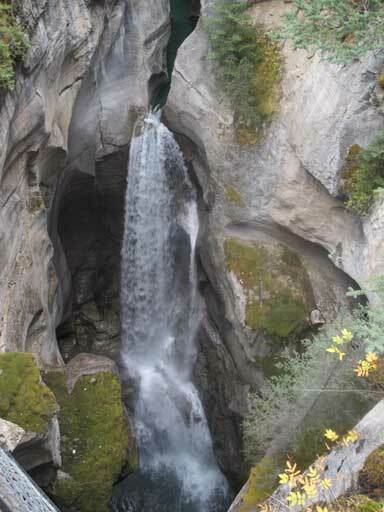 At Maligne Canyon, this is the waterfall seen from 1st bridge.